Back some time ago I reviewed a copy of the first volume of "Jerry's Journal", an independent comic by Neil Fitzpatrick. I enjoyed the dichotomy between the lovely artwork with an cute bird named Jerry and the horribly depressing and cynical things he said/felt. Upon running into Fitzpatrick at another comic convention I picked up a copy of the 2nd volume in our titular character's adventures into depression, and while Jerry may be miserable his negative outlook does make for a greatly entertaining comic. Jerry at times ponders the big thoughts. This volume of Jerry's adventures is even more interesting than the last book, because while it opens with the usual assortment of fun strips full of self-loathing, Fitzpatrick notes at the start of the book that during his time making these strips he had what apparently was a bad relationship (it isn't made quite clear what happened), that results in Jerry's comics morphing from usual one-and-done strips into what feels like a long treatise on love, hate, loneliness, and confusion. Jerry is not a likable character. He is mad, and the only thing he seems to hate more than other people is himself. Reading the comics with Jerry ranting and raving about how someone hurt him is equal parts sad, funny, and pitiful. You feel bad for Jerry, but he also is clearly so mired in his own self-righteous anger he doesn't see that maybe he is a bit at fault for whatever hurt him so badly too. It is kind of like having a friend who tells you about a break-up and it is of course all from the friend's point of view, but you can just tell from how they tell you things they clearly made their own mistakes too, but don't want to admit it. This volume's shift from casual dark-humor to pitch-black jokes about a broken-heart results in a comic that is incredibly interesting thanks to the stark contrast between this adorable-looking bird and his rage that leaves you feeling both bad for him and thinking he should just get over himself. How much of the comics were Fitzpatrick himself working through anger and coming to terms with whatever happened in his life, and how much is simply Jerry being his usual self is unclear, but there is definitely a palpable rage behind the seemingly innocent illustrations a reader picks up on that feels so raw that Jerry's Journal goes from just being a fun-if-depressing-comic to a peek into someone's uncaged emotions, all illustrated to the tune of a pleasant-looking cartoon bird. The only thing Jerry hates more than other people is himself. 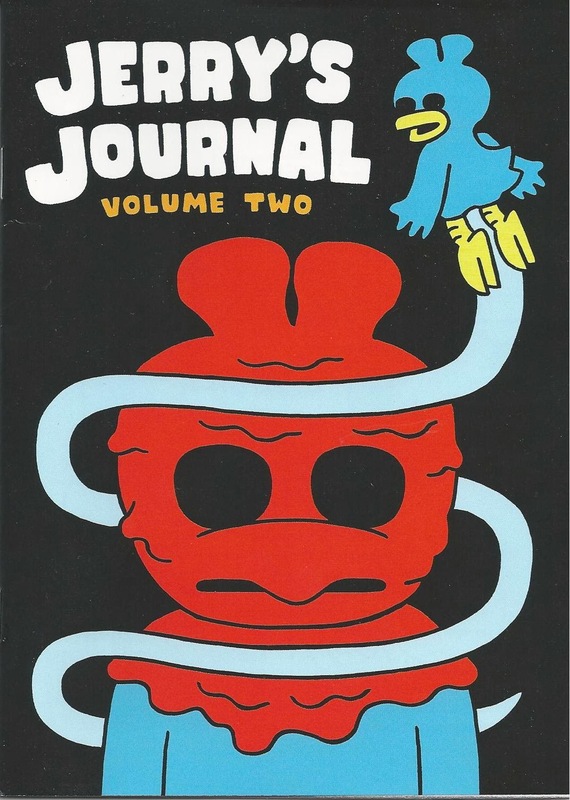 I greatly enjoyed "Jerry's Journal Volume 2", liking it even more than the first entry in the series thanks to it developing what isn't a story-line necessarily, but a plot expressed through emotions. Neil Fitzpatrick can be found at his website, Neil Jam, and I would encourage you to check his stuff out.